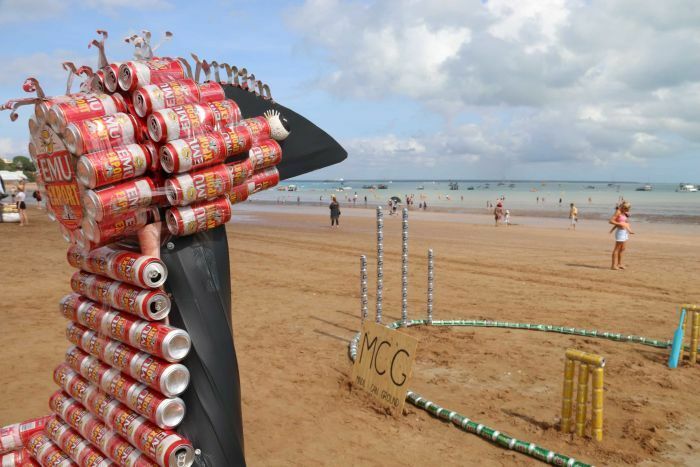 Darwin's beer can regatta day was held yesterday with all its usual and customary colour and fanfare. The event has been running since 1974 when over 60 competed and about 22,000 people attended the event. At the time, that was almost half of Darwin's population! So what is the Darwin Beer can regatta day all about? Well in 1972, Swan Breweries asked Paul Rice-Chapman to come up with a "Water" festival to help promote the brand. 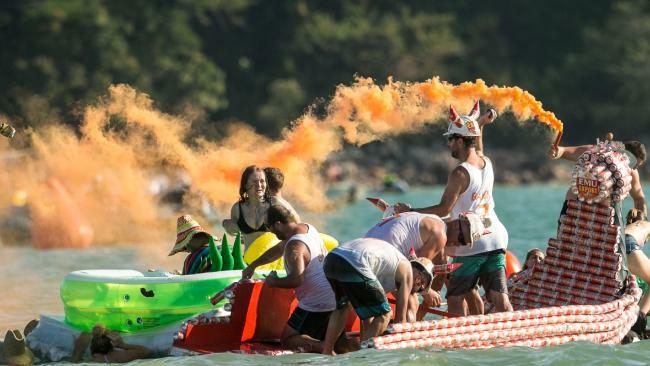 What could be more Aussie than a beer can regatta to celebrate and promote a beer company? Nowadays, the event has a very family friendly focus and feel about it although the large crowds haven't forgotten the history behind it. The event has seen some transformations over time. In the 1980s, cans were no longer made out of steel and beer companies opted for the cheaper and lighter aluminium cans. These cans just couldn't withstand the speeds and pressures of such a big event and as such, it was no longer safe for entrants to have outboard motors installed on their creations! This year saw some interesting entries such as the HMAS Bush Chook! This was a cross between a dragon ship from the Viking-age and an Aussie emu. The winner of the event was HMAS Rosie! 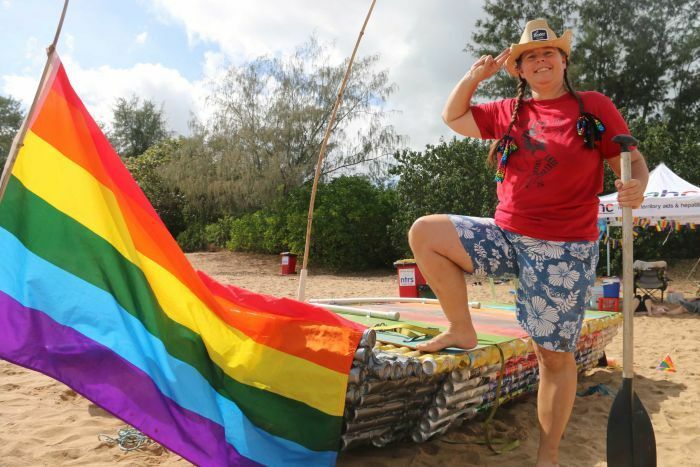 An entrant representing Darwin's gay community. HMAS Rosie took out the trifecta and won the Battle on Mindil, the tug of war and the famous and all-important boat race! Well done to all involved in HMAS Rosie! 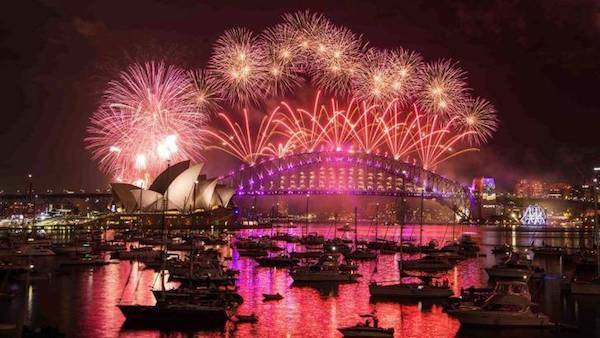 Here in Sydney we have our own fun regatta days to look forward to. 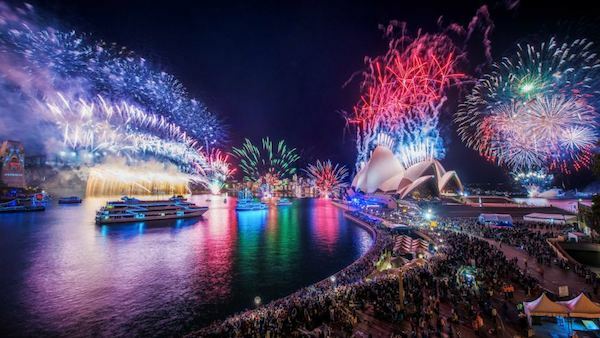 Our next big novelty regatta day is the Australia Day Regatta that form part of the Australia Day celebrations on Sydney Harbour. Any Boat has a large range of boats available that will get you close to the action. If you're into sailing though and after a team building or corporate regatta, check out Sailcorp which is based at Lavender bay. They have a wide range of offerings!